Throughout South Florida, the Boca Raton law firm of Gutter Chaves Josepher Rubin Forman Fleisher Miller P.A. is known for leadership in tax law, estate planning and probate and trust litigation. Rubin, who is board certified in taxation, has taught, lectured, and written numerous professional articles as well as an ongoing blog, “Rubin on Tax,” on federal and state tax issues. He is a fellow of the American College of Trust and Estates Counsel. 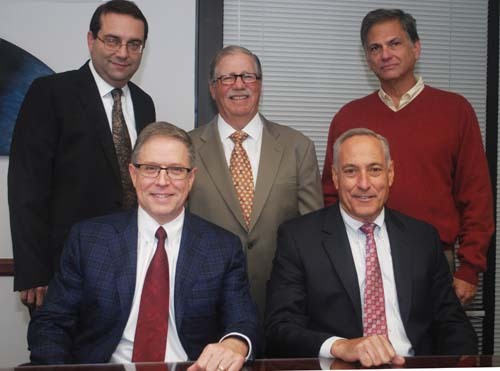 Like Rubin, all of the firm’s name partners — Robert A. Chaves, Richard A. Josepher, Peter J. Forman, Norman A. Fleisher and Lawrence Miller — have more than 25 years of experience. In addition to assisting clients with tax, estate and business planning and litigation, the firm handles IRS controversy work, audit defense and other types of related litigation. Gutter Chaves can trace its roots back to Schwartz & Nash, a Miami tax boutique firm that flourished in the 1970s and early 1980s. Rubin began his career there in 1984, a year before it merged with Fine Jacobson, a commercially oriented firm. Chaves and Josepher also worked at Schwartz & Nash. The merger did not work out for the firm’s tax attorneys, who gradually left. A few of those attorneys later formed the predecessor firm to Gutter Chaves, growing to a five-attorney firm in the Datran Center in Kendall. After Hurricane Andrew struck the region in 1992, several of the partners moved up to Palm Beach County, and opened a Boca office. A few years later, the firm closed up shop in Miami. Other former attorneys from Schwartz & Nash later joined, including Josepher. Today, Gutter Chaves’ guardianship, estate and trust litigators regularly participate in dispute resolution, trials, mediation, and consultation with fiduciaries, beneficiaries, and other parties. Rubin says one of the most common patterns in probate and trust litigation is when an older individual passes away, leaving a younger second or third spouse and children from a prior marriage. Sometimes, the inter-family stresses can be relieved by advance planning, such as pre-nuptial agreements, but many times there is personal or financial antipathy that results in litigation once the older spouse passes away, he adds. Estates can be contested for many other reasons, such as hard feelings among siblings, Rubin adds. “One or more of the children may feel they were entitled to a larger share of the parent’s assets,” he says. In other cases, the siblings might band together to contest a substantial bequest to a non-family member, such as a caretaker or other professional, that was written into the elderly person’s will shortly before death. Gutter Chaves’ tax and estate planning attorneys — Rubin, Josepher, Chaves, partner Jordan L. Klingsberg, and associate Mitchell Goldberg — take a full-service approach to advising clients. “We work with many entrepreneurs who are building a business, as well as owners of a mature business, and those who have recently sold a business and want tax and estate planning advice,” Rubin says, adding that on the personal planning side the firm works more with individuals and families, rather than institutional clients. However, the firm’s attorneys do work with publicly and privately held institutional clients in regard to compensation, partnership, corporate and international planning items. While the 2012 changes to the federal estate law had little impact on individuals with significant net worth, they did affect people with estates of less than $5 million (or $10 million for married couples). For example, regardless of the size of the estate, Rubin believes that trust planning is an important step in a creditor protection strategy, as well as for protecting the assets of children and grandchildren. Rubin says life insurance can also be beneficial in certain types of estate planning. For instance, an insurance policy can provide funds to pay estate taxes on an estate. “Buy-sell insurance arrangements can also be structured to help fund the purchase of a privately held business upon death or disability,” he adds. In any case, Rubin recommends that the firm’s clients have their insurance policies reviewed regularly as to performance and appropriateness. Because Gutter Chaves’ tax attorneys have experience in working with business owners, they are often called in before the sale of a company, according to Rubin. “That role is particularly important when evaluating the personal and business tax consequences of a sale, and structuring the sale to minimize taxes,” he adds. Since the firm’s earliest days, the attorneys at Gutter Chaves have been volunteer leaders in professional and community organizations. “We encourage our partners and associates to be involved with Bar associations, and many or us are active in the Real Property, Probate and Trust Law Section of The Florida Bar,” Rubin says. Rubin adds that members of the firm have published many books, treatises, and journal articles related to their fields, regularly make presentations other professionals, and teach courses at local universities as adjunct professors, while contributing their time to charitable causes in the Boca Raton community.